If you’re a first-time Linux user, there’s a decent chance you’re using Elementary OS. 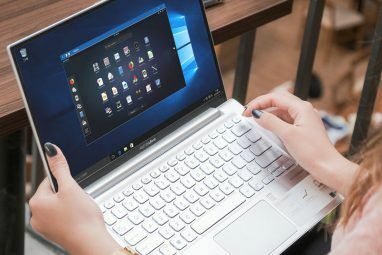 The relatively young Linux operating system has accrued millions of downloads over the past half decade, with many of them coming from computers running Windows or macOS. 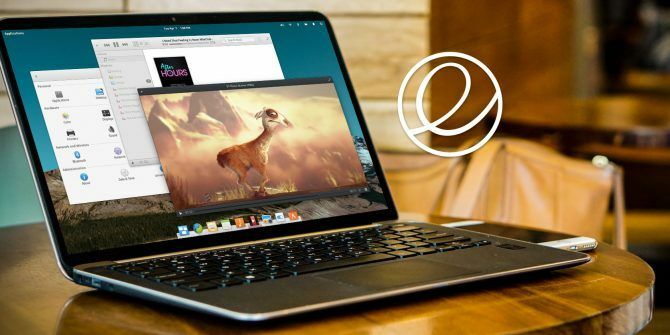 Elementary OS brings a degree of focus and attention to detail that sets it apart from other versions of Linux Want to Install Elementary OS? 7 Reasons Why You Should! Want to Install Elementary OS? 7 Reasons Why You Should! Elementary OS has developed into a compelling computing experience in 2017. Wondering if it's time to make the switch from your current Linux operating system? Here's why the answer is Yes. Read More . But when you use Elementary OS or look at a screenshot, what you see is actually something called Pantheon. Pantheon contains everything you see on screen. It’s what displays your desktop background, what switches between open windows, the home to the clock at the top of the screen and the dock at the bottom. Pantheon is one of many desktop environments available for Linux. This situation is different from that of Windows and macOS, which each only provide you with one interface to use. That’s why most of us have no concept of the desktop environment being separate from the kernel, the bootloader, or any other part of those two operating systems. When you can’t swap out the parts, the distinction doesn’t matter all that much. On Linux, you get to choose your desktop environment. Most distributions provide a default Why Your Linux OS Ships With a Default Desktop Environment Why Your Linux OS Ships With a Default Desktop Environment Have you ever wondered why your Linux operating system looks the way it does? All distributions have a default desktop environment, but how did your favorite Linux OS end up looking so awesome? Read More , but that’s not a choice you’re forced to live with. 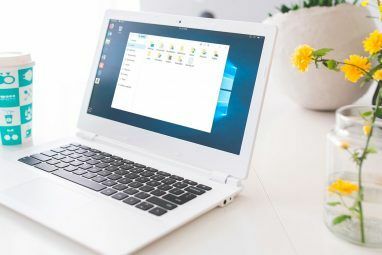 Unlike most other desktop environments, Pantheon is closely tied to a specific Linux operating system (more commonly known as a “distribution” or “distro”). The developers behind Elementary OS are the same people behind Pantheon. Pantheon began as an alternative interface that people could install for Ubuntu. 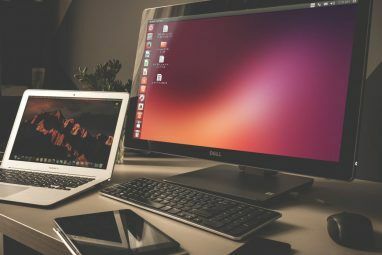 If that name is unfamiliar, Ubuntu is widely considered the most popular version of Linux for personal computers. At the time, it used a desktop environment known as Unity Stick With Ubuntu: GNOME Feels Surprisingly Just Like Unity Stick With Ubuntu: GNOME Feels Surprisingly Just Like Unity Ubuntu has abandoned Unity in favor of a new spin on the GNOME 3 desktop. But is it really all that different from Unity? Here's why you shouldn't really be thinking about quitting Ubuntu. Read More . That interface had a panel across the top and a distinctive dock of icons down the left side of the screen. The design encouraged people to find and open software by searching. Pantheon was less of an alternative to Unity than it was to GNOME, one of the oldest and most established desktop environments GNOME Explained: A Look at One of Linux's Most Popular Desktops GNOME Explained: A Look at One of Linux's Most Popular Desktops You're interested in Linux, and you've come across "GNOME", an acronym for GNU Network Object Model Environment. GNOME is one of the most popular open source interfaces, but what does that mean? Read More for free and open source desktops. Elementary OS founder Daniel Fore and others knew they couldn’t shift GNOME in the direction they were interested in, so they used many of the same building blocks to create something of their own. Their creation, Pantheon, is written in GTK+ and Vala. Unlike more established alternatives like GNOME and the KDE Plasma desktop KDE Explained: A Look at Linux's Most Configurable Desktop Interface KDE Explained: A Look at Linux's Most Configurable Desktop Interface What does Linux look like? Sometimes, Unity; other times, GNOME. Oftentimes, though, Linux runs KDE. If you're not using the erstwhile K Desktop Environment on your Linux PC, now is the time to change! Read More , which you can install on virtually any version of Linux, Pantheon is largely seen only on Elementary OS. That said, you don’t have to use Elementary OS to install Pantheon. As a free project, others are free to use and redistribute the code as they wish. Pantheon contains a transparent panel, with three core areas, across the top of the screen. You can launch applications by clicking Applications in the top left. In the center, there’s the date and time. Clicking here pulls up a calendar. System indicators sit in the top right. This panel is known behind the scenes as Wingpanel. The Applications buttons opens an app launcher called Slingshot. Slingshot functions more similarly to the app drawer on a smartphone than the Windows Start menu. A dock sits at the bottom of the screen, akin to what you may have encountered on a MacBook. This dock’s name is Plank. Pantheon doesn’t refer to the names of any of these components. Think of them as codenames primarily used by developers. Though as a user, knowing the names can be helpful when trying to troubleshoot problems. One of Linux’s major attractions is the ability to customize every aspect of the experience. Pantheon, however, isn’t all that customizable. Very few options are available to tweak out of the box. You can edit some components by installing Elementary Tweaks, but you will need to get your hands dirty if you want to do much more than that. As I mentioned before, you can install Pantheon in distros other than Elementary OS. Arch Linux and openSUSE are both alternative options. Why would you go this route? Elementary OS is based on Ubuntu, and that foundation may not be ideal for you for everyone. If you’re more comfortable using openSUSE system apps or comand line tools, it makes sense to install Pantheon on top of what you’re used to. Likewise, if you’re a big fan of Arch Linux’s build-it-yourself-approach and happen to love Pantheon, why not put the two together? Well, here’s one reason: Pantheon isn’t exactly intended to be used this way. Pantheon’s creators don’t stop other people from installing Pantheon elsewhere, but they really do develop the interface with Elementary OS in mind. When it comes to squashing bugs 6 Reasons Your Favorite Linux OS Is Plagued by Bugs 6 Reasons Your Favorite Linux OS Is Plagued by Bugs You found a new Linux operating system to try, and you loved it. But then it went wrong. Sometimes Linux gets buggy after a month or two. The question is, why? Read More , that’s where their attention goes. Porting the project to GitHub from Launchpad made it easier to separate Pantheon from an Ubuntu base, but the Elementary team doesn’t have the resources (or much reason) to prioritize making Pantheon work smoothly on other Linux distributions. Pantheon is ideal for people who want a desktop environment to be as straightforward as possible 15 Desktops That Reveal How We Work at MakeUseOf 15 Desktops That Reveal How We Work at MakeUseOf Does your desktop reveal how you work or how you think? Is it clean or cluttered with shortcuts? Here's how the MakeUseOf team uses its Windows, Mac, and Linux desktops. Read More . Like the bulk of Elementary OS, Pantheon is simple. The experience takes mere seconds to figure out. This minimalist design is great if you don’t want to give much thought to anything other than the task at hand. And frankly, many people simply find Pantheon nice to look at. The Elementary team put heavy emphasis on their human interface guidelines The Differences Between Linux's Human Interface Guidelines The Differences Between Linux's Human Interface Guidelines Ever encountered a Linux app that looks ugly and seems unusable? It's why desktops have human interface guidelines. Windows and macOS have these guidelines. What about Linux? Read More , and this provides for a consistent and attractive experience throughout. This degree of focus doesn’t merely stand out compared to other Linux distributions, but to mainstream commercial operating systems as well. Windows design is all over the place. Chrome OS has little impact on how web apps are made. macOS is the only operating system you will find in a big box store where all the interface elements fit together this well. So if that matters to you, Pantheon is more than worth a look. Have you used Pantheon? Have you tried using it somewhere other than Elementary OS? How does it compare to other desktop environments? Let’s have a chat in the comments section below! Explore more about: Linux Desktop Environment, Linux Elementary. Yes, I have tried installing Pantheon Desktop and it worked like a charm in Xubuntu. I purpose is to create a Linux distribution which is suitable for India. Now, I will download Lubuntu which is the lightest Ubuntu I know and try to run Pantheon Desktop on it. The name name of my distribution is Anika OS. I hope devs will tweak a bit the UX in this DE. Right now I found it very tricky and buggy. I found missing the window controls and the uncommon alt+tab behaviour as very annoying. Isn't it a little silly to worry how "heavy" the desktop environment is? Most of today's PCs come with multi-core CPUs and at least 8 GB of RAM. That is enough to run any distro with any DE quite speedily. With most of today's distros, using a "lightweight" DE is like washing down a double Big Mac with large fries with a diet soda. If you are really want to run something light, why not go with Openbox or i3 window manager? While there is a weight difference between various DEs, they will all seem like heavyweights in comparison to window managers. I can't really agree with you. You say that "Most of today's PCs come with....". I and most of my friends use oldish PCs (2x2ishGHZ CPU, 4GB RAM as no more will fit). There are probably applications which require more resources, but none of us use such applications. We don't consider our PCs as a hobby which we want to spend a load of money on, but as a means to do some basic stuff (Browse, type, edit photos, play music). Our PCs are completely adequate for that, so it wouldn't make sense to spend money to buy a new PC just to run a flashier OS. Much as I would like to go back to Ubuntu now Unity has gone, I find that 18.10 stutters when viewing BBC video clips (YT is OK though). Mint MATE, Ubuntu MATE, Ubuntu Budgie and elementaryOS all work fine, are easy to use and are based on something well supported. Probably a mid-point between the two extremes you imply.
" I and most of my friends use oldish PCs"
I said "Today's PCs" which means desktops and laptops you buy today, not PCs that are 3, 4 or more years old. What you and your friends are using are "yesterday's PCs". I am in no way disparaging the hardware that you and your friends use since I feel much the way you do. My main PC is a Dual Athlon that it at least 8 years old. Elementary is a great streamlined experience. The distribution that I would really love to see adopt a Pantheon spin is Solus. I really like the goals and development path of Solus. With their laser focus on being a source based, end user, distro; and their terrific Linux Steam Integration, they would be a prefect fit with the streamlined Pantheon Desktop Environment. Budgie just isn't quite there yet. Ickey Dockery, the force behind Solus, is heavily committed to Budgie. So, unless he has an epiphany or someone forks Solus, don't hold your breath waiting for Pantheon on Solus.